The blog has been quiet for the last couple of weeks. I could blame the summertime relocation to my homeland, the excessive availability of sunshine, tasty food and wine or the distraction of the FIFA World Cup. Truth is that the relocation was a piece of cake, sun did not shine every day and the World Cup only started a few days ago and has not become an obsession (the food and wine bit is true). I have been suffering the blank page syndrome and this has prompted me to browse the web in search of some insight on the phenomenon. What are the causes of writers block? It depends. Anxiety and boredom, however, seem to be often at the root of the problem. I used to believe I had the capacity to remain calm and relaxed, that I could trust to stay cool in front of challenges and problems. This might have been true in my early teenage years, but ever since I have developed the capacity to consider the consequence of my actions I have been suffering from the anxieties of life. When writing, anxiety seem to be the product of ‘perfectionism’ and/or ‘task inflation’. We look at the words on the page (the few we have managed to type) and nothing ever seems good enough. I know I will have multiple chances to refine and improve them, but I have to fight the impulse of doing it right away and by myself. Unrealistic expectations regarding the quality or the timing of my work create a sense of ‘task inflation’. What is simply a small hill quickly transforms into Mt Everest. As previously mentioned, I dislike typing. I perceive it as a necessary evil required to communicate my ideas. It is ‘boring’ when compared to the exciting task of imagining the content, the characters and the plot. It is not as intriguing as playing with the structure and creating audio-visual scenes inside my head. In the article Blockbusting: Understanding Writers Block, Christopher Edwards writes “Boredom can occur when scientists view writing as merely a mechanical transmission of their truly creative work.” The important word here is: view. It is a perception attached to an ‘unpleasant’ task. But, the act of writing actually helps us refining our ideas. It helps us reshaping the structure and often brings us to destinations we had never imagined in the previous phases of development. Beware of Writing myths. They make us feel inapt. The beliefs that good writing needs to be fun and easy, the fruit of positive inspiration and self-confidence and that it requires that special genius can all be seriously damaging to the motivation needed to overcome the hurdle. To me, it is important to create manageable steps. If you break a 90 pages script over a month, all you are left with is the ‘daunting’ task of writing 3 pages per day. If that fits your schedule and your requirements it will be more than enough, and nothing will stop you from writing more (way more) when all the ingredients required by your motivation and inspiration are magically present. According to Dorothy Parker “The cure for boredom is curiosity. There is no cure for curiosity.” Now that I am done browsing a subject not directly related to my script, it is time to get back to it. 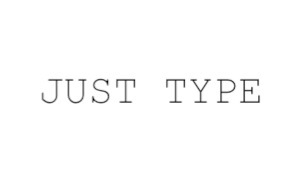 Type, just type. It does not matter what or how much. I will type as I trust it will be a productive and helpful session. ← Tarantino. Digital. Projection. Death. Cinema.